Thanks in large part to changing attitudes and legislation across the US and beyond, cannabis-based products such as edibles, salves, and concentrates have become increasingly popular. Another product that has benefited from this wave of positivity is the cannabis tincture – and with good reason. 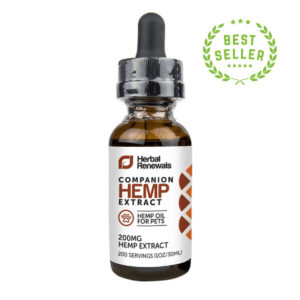 Unlike other cannabis products, tinctures offer a quick and accurate means of administering a measured dose of cannabidiol (CBD), a non-psychoactive cannabinoid found in cannabis. This has led to the mainstream media recounting tales of potential health benefits, and a growing movement would like to see the tincture replace addictive and damaging prescription painkillers. In this guide, we’ll explain the history and benefits of cannabis tinctures and share some recipes to help you get started. Cannabis tinctures are simply alcohol-based cannabis extracts. They are made by dissolving cannabis in alcohol, and they’re typically available in a small bottle with an accompanying dropper for simple dosing. 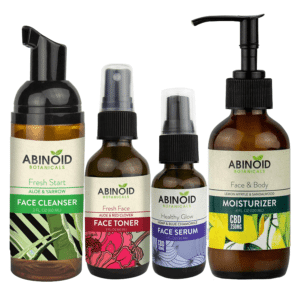 Most CBD tinctures will contain anywhere from 10 to 25 percent CBD, meaning you’ll receive a higher concentration of the cannabinoid than you would otherwise find in a standard strain of marijuana. Cannabis tinctures have been around for the better part of a century. Interestingly, they were prominently used as painkillers in the US – even appearing in the United States Pharmacopeia (1) – until marijuana prohibition kicked in during the late 1930s. US lawmakers led the charge against cannabis, concerned that it would contribute to the downfall of American society. However, the campaign to outlaw cannabis began almost a decade earlier, spearheaded by media mogul William Randolph Hearst, who feared the versatile hemp plant would come to replace paper, damaging his own paper and timber companies in the process. Hearst was successful in his war on hemp, which meant cannabis – which is derived from hemp – was also vilified and criminalized. Fast forward to the 1980s, and interest in cannabis as a potential painkiller and sedative had begun to grow once more. Scientists and pharmaceutical companies commenced research into the endocannabinoid system, (2) which made the medicinal properties of the cannabis tincture all the more alluring. 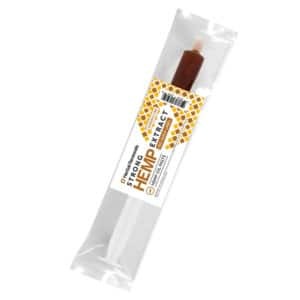 Short of injecting cannabis, which is not a recommended or indeed common method of consumption, a sublingual tincture is easily the fastest way of delivering the dose to your system. Thanks to the veins present under your tongue, the cannabis tincture can bypass your stomach and digestive system and enter your bloodstream directly. This makes for a more potent and effective dosage. The best thing about cannabis tinctures is the fact that they’re so discreet. You can easily keep a small bottle in a purse, satchel, or pocket to use throughout the day. Unlike smoking cannabis, CBD tinctures can be used freely and openly in public. However, many wish to keep this usage to themselves. With a few drops in your morning coffee, you can consume your dosage with discretion, and because there’s no smell, you won’t have to worry about disapproving stares from less enlightened colleagues. Tinctures also incredibly simple to make at home (more on that below), and they’re particularly useful when creating edibles that are otherwise difficult to infuse, such as drinks or candies. Thanks to the accompanying dropper, tinctures are by far the best option when it comes to administering a measured dosage. And unlike cannabis edibles, the tinctures boast fewer calories. If made with 190-proof alcohol, the tincture will contain around 7 calories per ml. Step One: Using the dropper, place a number of drops under your tongue, as per your recommended dosage. Step Two: Swish the liquid around with your tongue, as you would mouthwash, while breathing in and out through your nose. Step Three: After around 30 seconds, swallow the liquid. While most CBD tinctures contain only trace amounts of THC, you can still feel very relaxed (bordering on sleepy), so it’s important that you do not drive or operate heavy machinery until you fully understand how your body will react to the dose. For many, the idea of treating children with cannabis is unthinkable. However, a growing number of parents have turned to CBD as an alternative to harmful medications and invasive periods of hospitalization. Tinctures are the perfect alternative to vaporizing or smoking (both of which would be harmful to children), and promising early research (3) suggests cannabis is helpful in controlling seizures. Cannabis tinctures are very simple to measure, particularly when using a dropper. We recommend starting with a small dosage of 1 ml in order to observe the effects. If you feel happy and relaxed with this dose, continue to use it. If you don’t feel much difference, increase your measurement to 2 ml the following day, and slowly build up the dosage until you find one that works for you. There are three ways to administer your cannabis tincture: sublingually, orally, and by mixing it with food. By taking your cannabis tincture sublingually (under the tongue), you’ll see a quicker and more potent effect thanks to the absorption of the liquid into the bloodstream through the inner lining of your mouth. You can swallow the tincture on its own as you would any other liquid medicine. Or you can choose to add a few drops of the tincture to your soda, coffee, or juice. 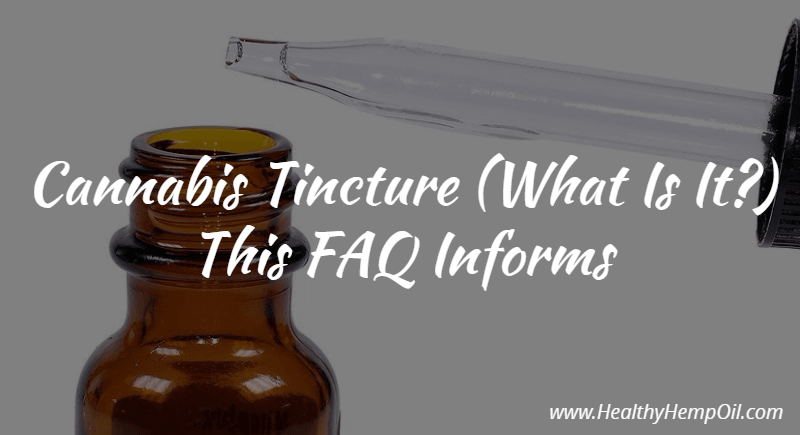 By consuming the tincture this way, as opposed to sublingually, you’ll notice that it will take longer to take effect – sometimes up to an hour. This is because the liquid has to be absorbed through the digestive system. Finally, you can combine the cannabis tincture with food to create a tincture edible. Similar to adding it to a beverage for oral consumption, when you add a cannabis tincture to food, it will be absorbed through the digestive system, which, in turn, means more time before you’ll feel the effects. You can add cannabis tinctures to a number of foods, including ice cream, salad dressings, and sauces. As per The Herbal Medicine-Maker’s Handbook (4) by noted herbalist James Green, cannabis tinctures can last for a number of years if stored correctly. This means bottling them in opaque containers and keeping them in a cool, dark location. Prolonged exposure to heat, light, or oxygen can lead to degradation. CBD has been used across a wide range of medical fields, and many more applications are being discovered. From potentially inhibiting the growth of cancer cells and tumours (5) to effectively treating inflammation, (6) interest in the medicinal benefits of cannabis continues to grow. You don’t need to have access to a fully stocked kitchen or a sterile laboratory to whip up a homemade cannabis tincture. In fact, it’s as simple as using some alcohol, cannabis, a strainer and a mason jar. We have outlined some incredibly easy cannabis tincture recipes below for you to try at home. Here, we take a look at the traditional and popular Green Dragon (7) recipe and an interesting same-day variation. Start by decarboxylating (8) your plant matter by placing it in an oven-safe dish and baking it at 240 degrees F for 20-30 minutes. Next, mix your extract in a mason jar with a high-proof alcohol. Close the jar, and leave it to sit a couple of weeks, shaking it once a day. Finally, after a few weeks have passed, filter it with your strainer. Unlike the traditional recipe, Master Wu’s Green Dragon tincture uses heat to expedite the extraction and concentration. This means the tincture is ready to be strained and stored on the same day. Begin by decarboxylating the plant matter, as above. Then, mix your extract in the mason jar with high-proof alcohol. Next, simmer the jar in a water bath for 20 minutes at 170 degrees F.
Finally, strain the mixture using your strainer, and store in a cool, dark place. 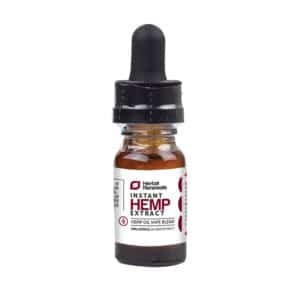 Some of the most popular tinctures on the market today are CBD Hemp Oil Tinctures. These are made with pure CBD hemp oil diluted in a clear alcohol or a natural oil base. Offering a number of potential health benefits, CBD tinctures are available in a range of flavors, making them the ideal choice for both children and older people. 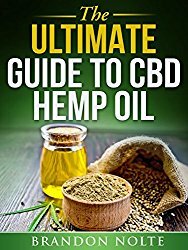 And, when compared with other cannabis-based products, CBD hemp oil tinctures are among the most affordable. Found in the cannabis plant, cannabidiol (CBD) is a chemical compound that interacts with the body’s endocannabinoid system. Along with the more well-known tetrahydrocannabinol (THC), CBD binds with the cannabinoid receptors found in our cells, resulting in a therapeutic effect that can help with issues such as nausea, lack of appetite, and anxiety. However, unlike THC, CBD is non-psychoactive, which means you won’t experience the famed “high” often culturally associated with marijuana. CBD, which is legal in all 50 US States, offers relaxation rather than intoxication. CBD tinctures are easier to use when measuring dosages. There are a number of flavors to choose from (peppermint, berry, chocolate, and more). Tinctures are on the lower end of the price scale and ideal for entry-level CBD users. If you’re ready to dip your toe (or should that be tongue?) into the world of CBD tinctures, then we wholeheartedly recommend the Herbal Renewals CBD Spray. Rich in CBD, this soothing liquid is available in three flavors (vanilla, peppermint, and natural) and comes in an easy-to-use spray bottle. With this spray, you’ll enjoy eighty 1.25 mg servings of all-natural, potent, and high-quality CBD oil. Simply spray twice on your tongue for a calming and delicious CBD boost. A cannabis tincture is simply a liquid made from dissolving cannabis in alcohol. Typically, cannabis tincture products are sold in half-ounce bottles with droppers for accurate and easy dosing. How do I take my tincture? Tinctures are best administered by placing a few drops of the liquid under your tongue (known as “sublingual” consumption). When taken sublingually, the lining under your tongue rapidly absorbs the tincture. You may also consume the tincture by adding it to a food or beverage or simply swallow it as you would a liquid medicine. How fast will the tincture work? When consuming a tincture sublingually, effects can take hold in between 15 and 45 minutes. If you swallow your dosage or consume it in a food or drink, you can expect it to take up to an hour. How long will the effects of a cannabis tincture last? The effects can last longer than if you were to smoke or vaporize cannabis but shorter than if you were to consume an oil-based edible such as a brownie. How can I prepare a cannabis tincture or cannabis oil? Take around 3 to 5 parts alcohol (such as brandy or ethyl alcohol from a pharmacy) and 1 part cannabis leaves, and mix in a mason jar. Keep in a dark and cool location for around 10 days, shaking at least once a day. Next, filter using a strainer. Store the finished tincture in an opaque container away from heat or light. How do I make a cannabis tincture without alcohol? You can use a vegetable glycerine. First, fill a mason jar half full with dried cannabis plant matter. Do not pack down. Next, fill the the jar with glycerine, and stir with a clean wooden spoon. Put the lid on the jar, and store in a cool, dark location. Leave for 6 to 8 weeks, shaking occasionally. Finally, strain the plant matter out of tincture, and decant into an opaque container. Store in a cool, dry place. What kind of alcohol is used to make tinctures? High-proof alcohol of at least 80 proof is used to make tinctures. If you’re based in the US, it’s recommended that you use Everclear. Otherwise, use brandy or vodka.